For years, Rexall Pharmacy was like that teen-movie high-school kid that no-one ever noticed: the quiet, frumpy introvert. A plot twist later, that kid gets a great hair cut, a rad wardrobe, an infusion of confidence, and solid BFFs. Today&apos;s Rexall is kinda like that re-made protagonist. Restyled with an updated logo, colour palette and airy interior, and stocked with appealing brands including planet-friendly natural and organic options, the brand&apos;s even hooked up with a chatty new Twitter account. The national Rexall makeover also includes two-level "urban-stores," such as the College & Spadina Toronto location that opened last September, and a new site at Queen & University (a former CIBC building). Here&apos;s a peek at the pretty stuff (including a natural line whose founder is awaiting trial for allegedly putting a hit on his wife). The spanking new stand-alone, two-storey Rexall at College & Spadina in Toronto. The Rexall makeover has likely already hit your local store; you&apos;ll have noticed the signage and merchandise changes. As well as overhauling existing spaces, the company is committed to creating city locations that maximize available square-footage and convenience. "This is our first urban-format two-level store, a store that is conveniently located on a very busy commuting corner in a rather eclectic neighbourhood," said Rexall CEO Frank Scorpiniti about the College & Spadina location. 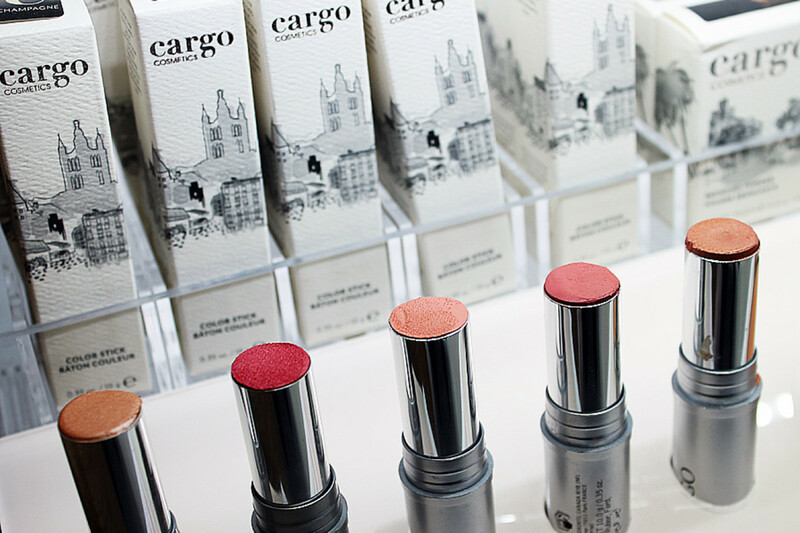 Cargo Cosmetics Color Sticks at the Queen & University location by Osgood Station. As of September 2013, 17 stores across Canada had a similar updated look and feel; more are planned as renovations and organic growth continues, said Scorpiniti. The new downtown-Toronto location on the corner of Queen & University, by the Osgood subway street entrance, opened this month. 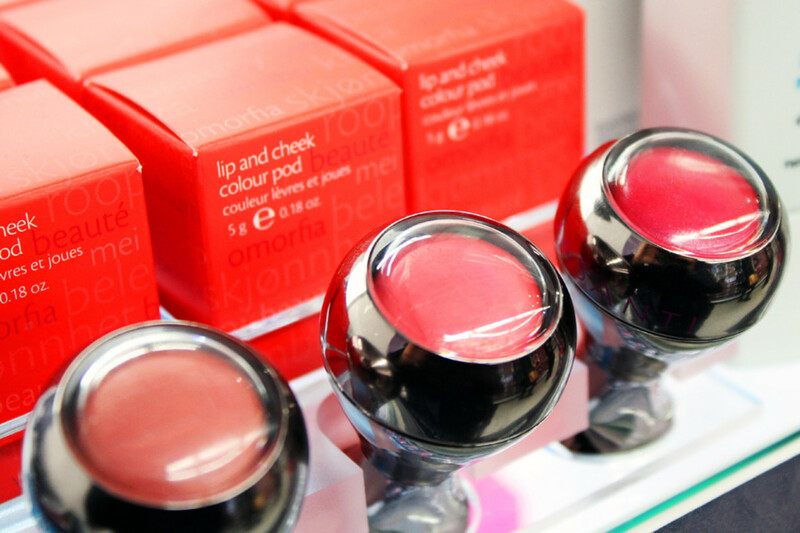 Also Canadian, Vasanti Cosmetics; these Lip and Cheek Colour Pods are adorable. 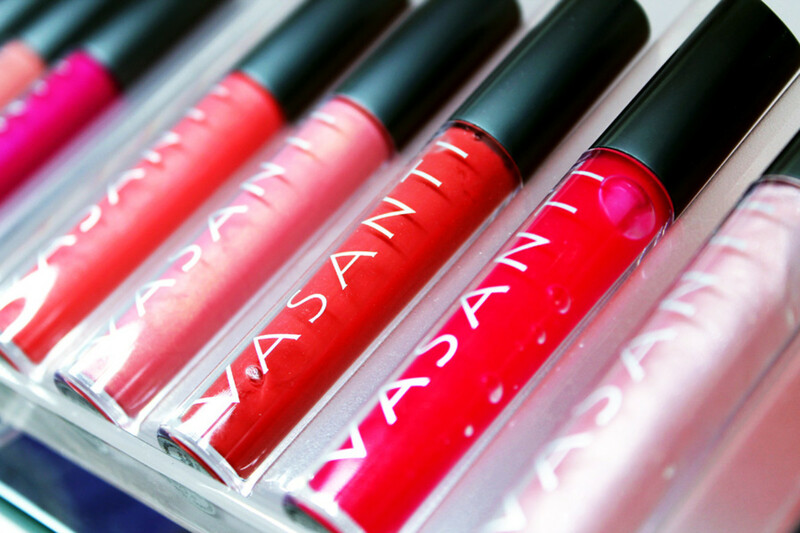 Tempting lip gloss shades from Vasanti Cosmetics; Queen & University Rexall. 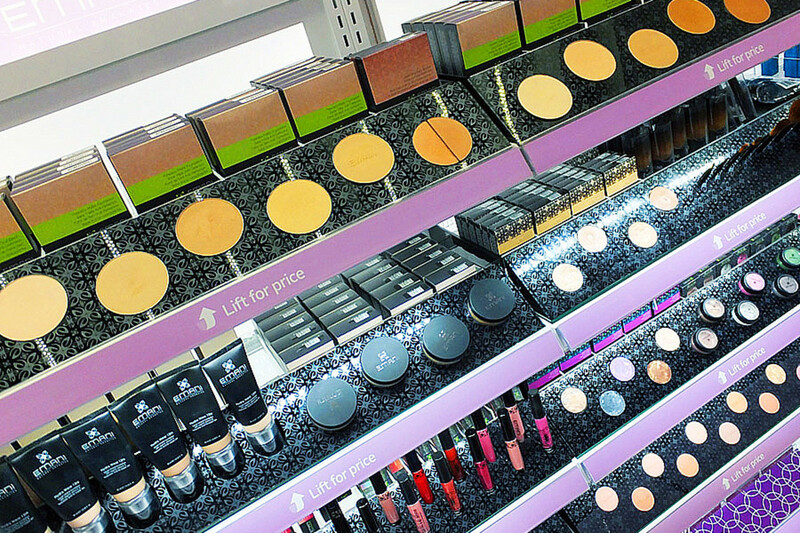 Canadian brands Cargo Cosmetics (also available via well.ca as well as The Shopping Channel) and Vasanti Cosmetics have proper shelf presence. 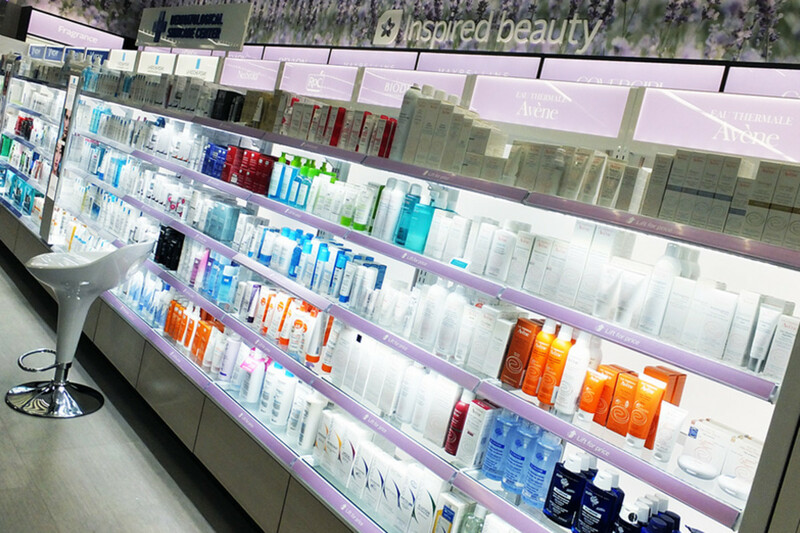 Shiseido is available at Rexall, too, as are the usual drugstore brands. 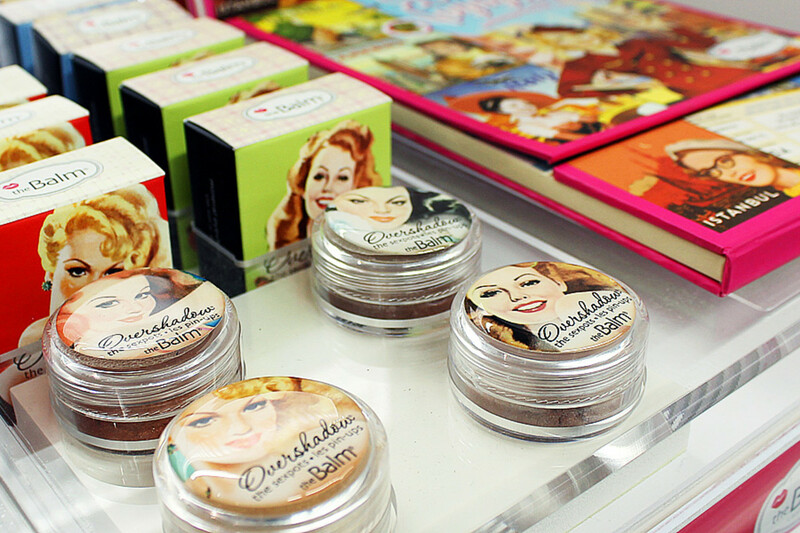 The Balm display at the Queen & University Rexall. The Balm is a cute San Francisco-based brand conceived with a lip balm that founder Marissa Shipman whipped up in her kitchen. That homemade lip balm isn&apos;t part of the collection; Shipman hired a chemist to develop the line before hitting the marketplace 10 years ago. 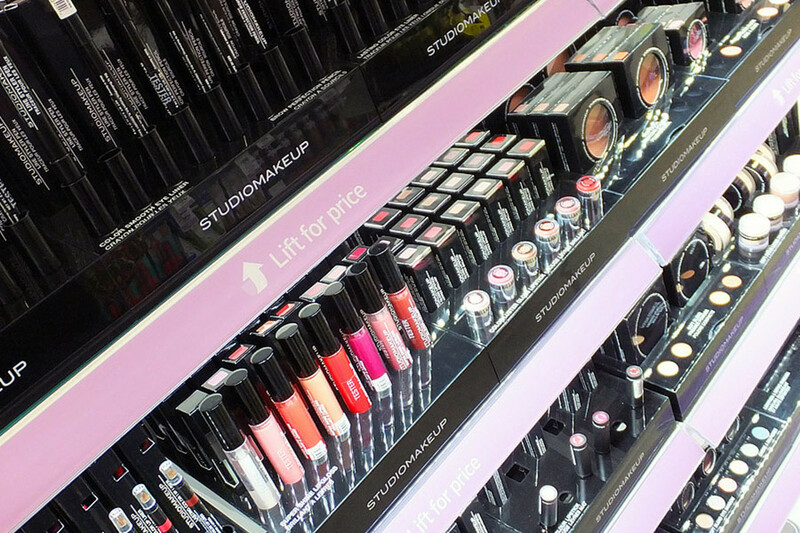 Studiomakeup bills itself as a professional brand and is also available at Jean Coutu. I&apos;ve not tried this brand yet; have any of you? 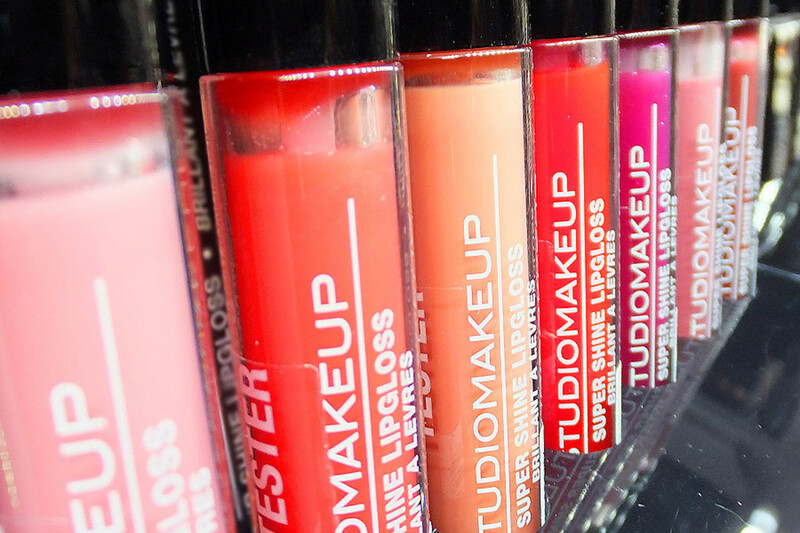 Studiomakeup has some juicy shades of gloss. Dig the lip gloss shades -- the fourth and fifth are particularly appealing. NYX Cosmetics -- quite the display at College & Spadina. NYX cosmetics is another Rexall beauty-dept staple, with an impressive colour range and selection of false lashes. A variety of false lashes, just hanging around. 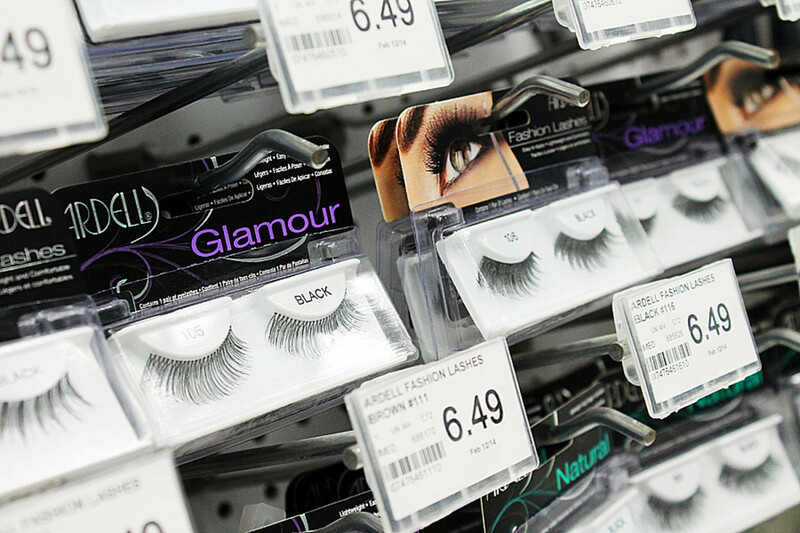 The store carries a healthy number of Ardell false lashes, too. 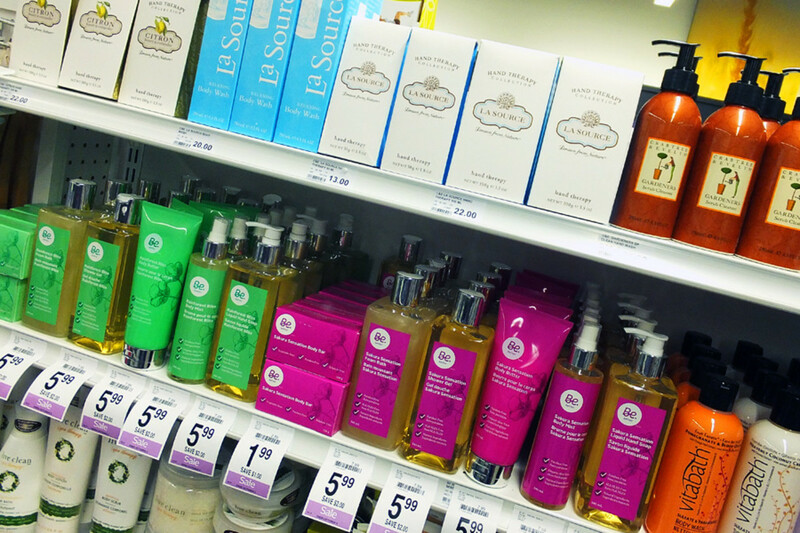 Emani vegan cosmetics; Rexall also carries a number of natural skincare options. 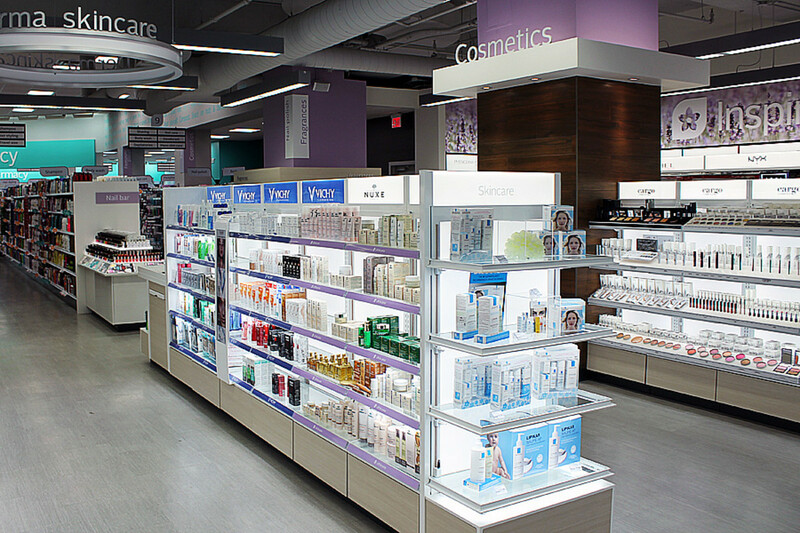 Emani vegan cosmetics is part of Rexall&apos;s commitment to offering consumers a growing selection of natural and earth-friendly options. 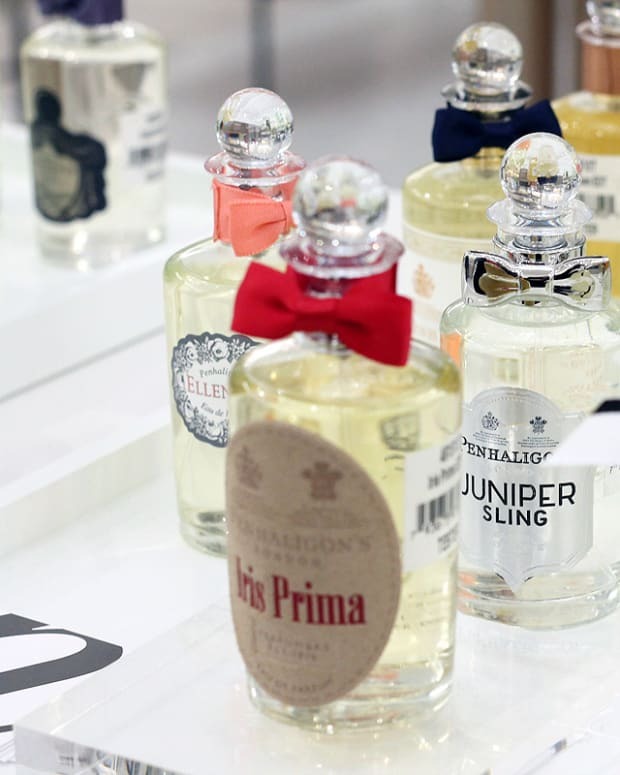 This particular brand spins on its avoidance of petrochemicals, dyes, parabens and nano-particles. 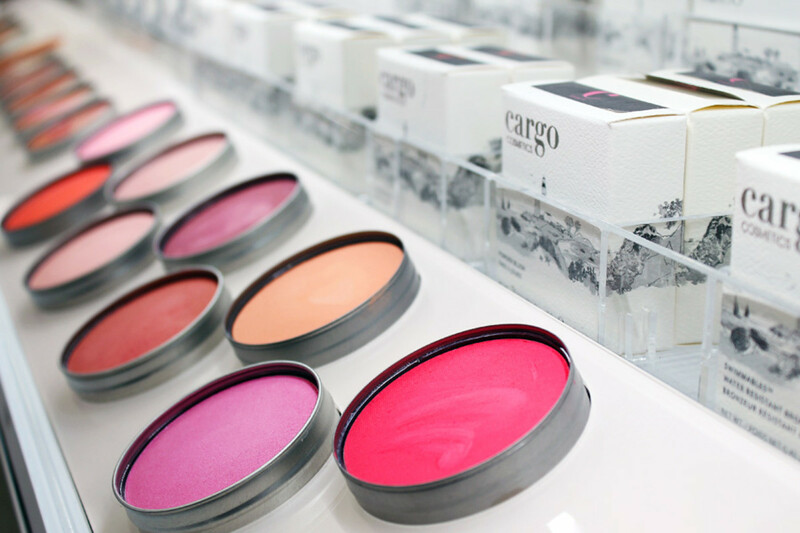 Bare English & Co. lip balms -- another Canadian brand, and it&apos;s Toronto-based. Surprise! 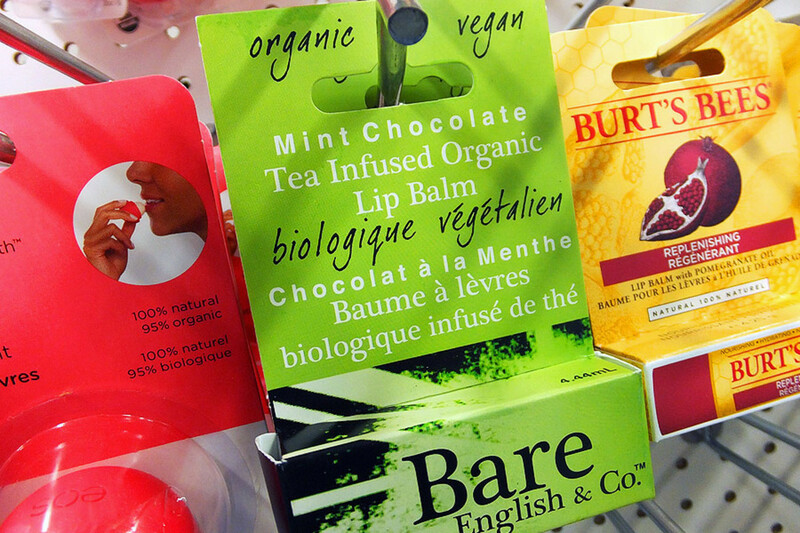 Bare English & Co. is a Toronto-based brand focussed on tea-infused organic and vegan lip balms. Of their seven flavours, Rexall appears to carry just two so far: Pomegranate Berry and Mint Chocolate. Call me if you see Pink Grapefruit on the pegboard, okay? Also spotted at the College & Spadina store: Burt&apos;s Bees Güd, Crabtree & Evelyn, and the planet-friendly Canadian brand Live Clean (That Live Clean Spa Therapy line smells amazing). Be.better is Rexall&apos;s private label healthy-living collection and covers everything from lip balm to body care to hair care to household products to snacks and drinks. Rexall&apos;s private lable Be.Better -- this is sea buckthorn. 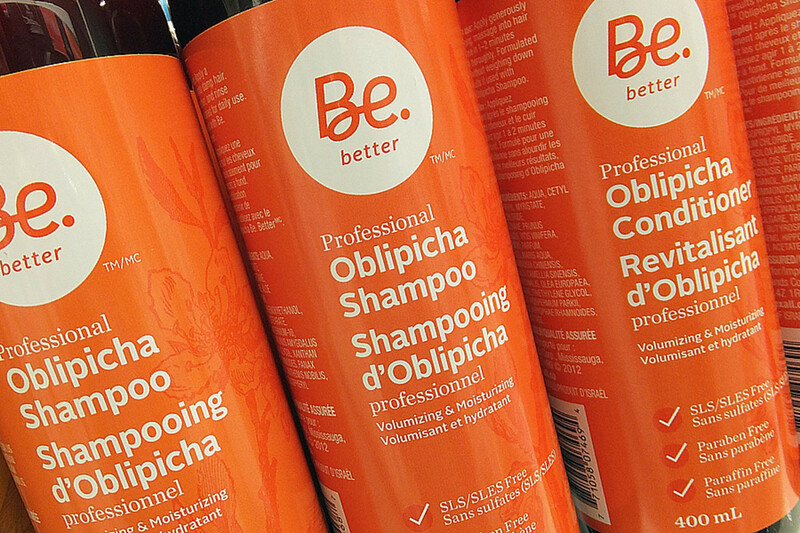 Be.better Oblipicha hair care = sea buckthorn hair care. Sea buckthorn is high in essential fatty acids as well as antioxidants Vitamins C and E.
Creation&apos;s Garden, founded by a guy awaiting trial for trying to put a hit on his wife. True story. 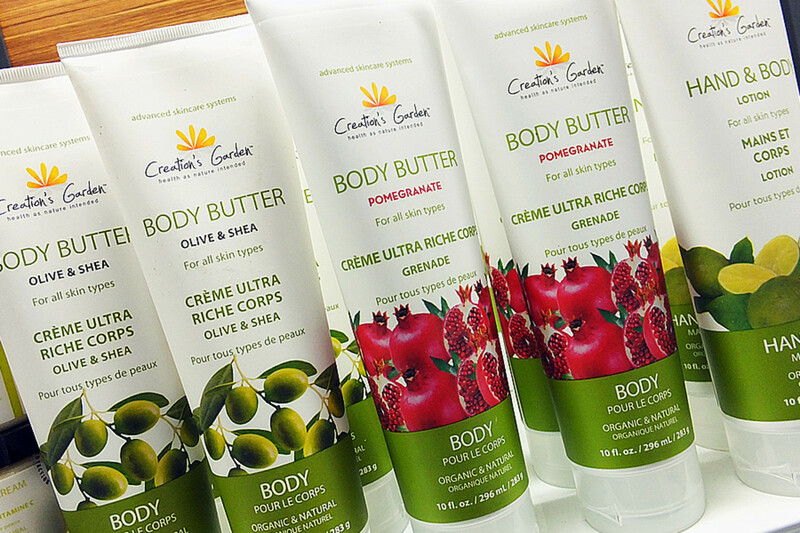 Creation&apos;s Garden is a natural care line for face body and hair, and exclusive to Rexall in Canada. Then there&apos;s this story about Creation&apos;s Garden founder Dino Guglielmelli, who is apparently awaiting trial for trying to have his wife murdered. 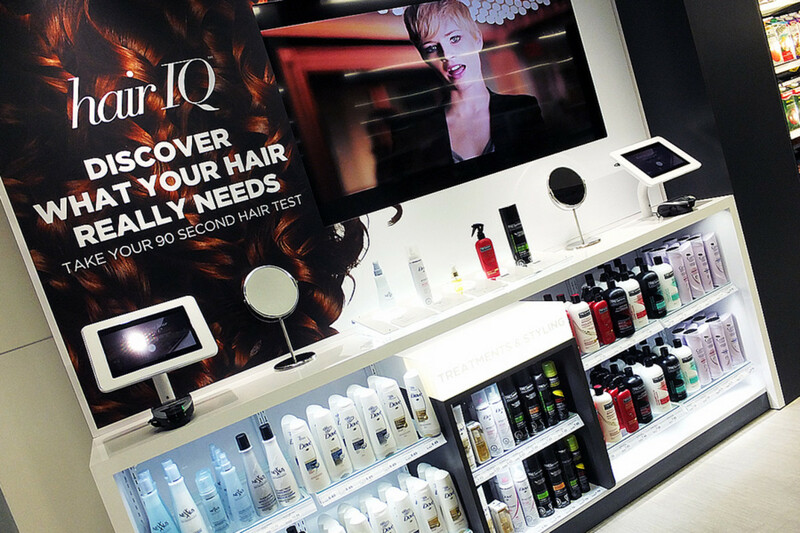 The new Rexall Hair IQ station at the College & Spadina store. This Hair IQ station is at the College & Spadina location (or it was, at the September grand-opening event). Tablet screens offer a quick quiz designed to help you select your best hair product choices. Red Carpet Manicure, the best home gel kit, hands down. 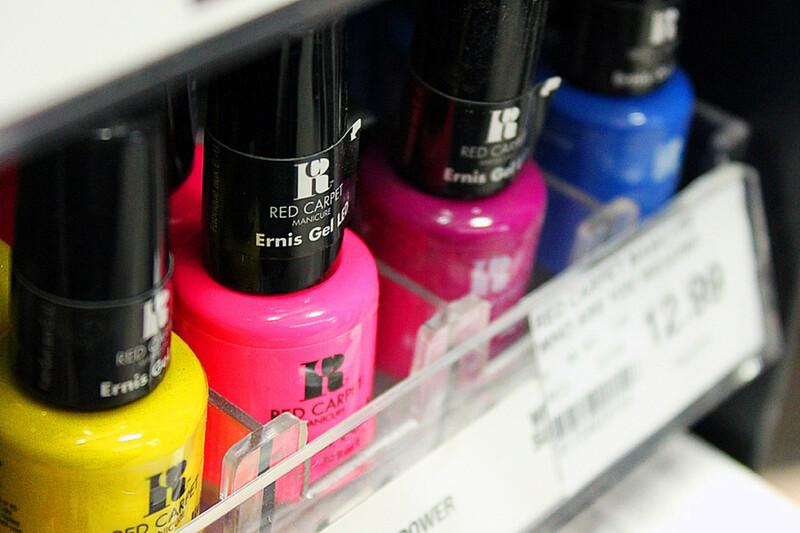 In Mani-Geek Karen&apos;s opinion, the best home gel kit in terms of durability and shade options is by Red Carpet Manicure. Rexall is where she gets all her Red Carpet gel shades. 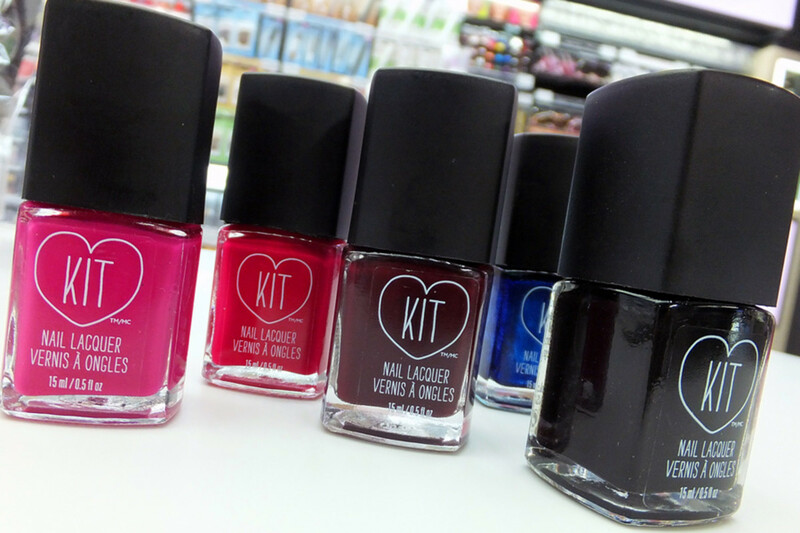 This Kit nail lacquer is Rexall&apos;s private label, formulated to compete with salon-quality polish and available in a range great on-trend shades. Revlon Nail Polish at the new Rexall nail bar. 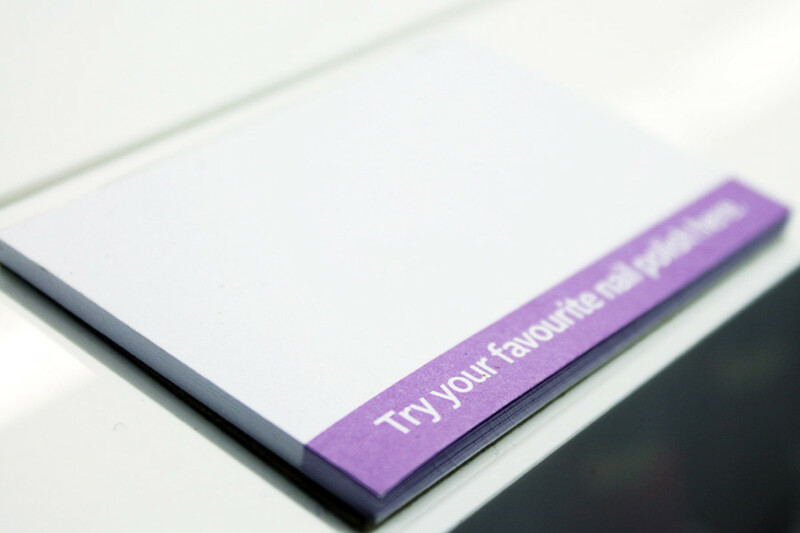 Swatch pad for nail polish! 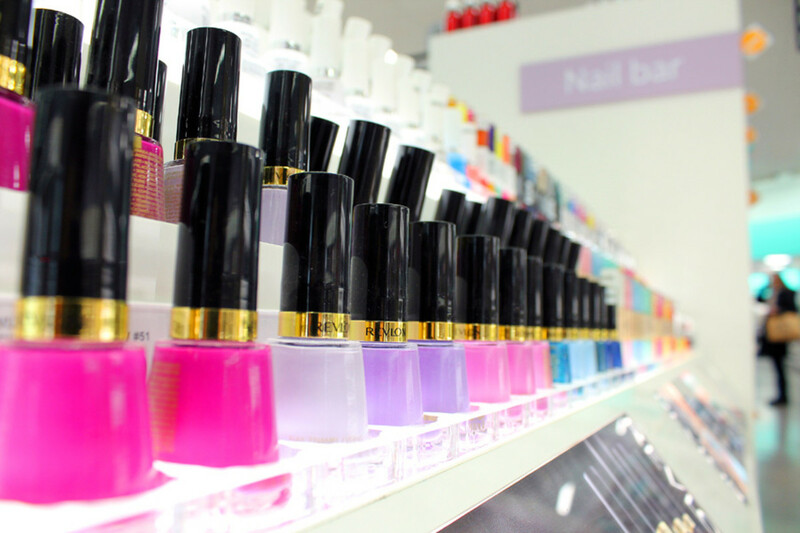 A fancy all-Revlon nail polish bar is complete with little pads of paper (above) for swatching before you buy. No more yellow light in the beauty department. 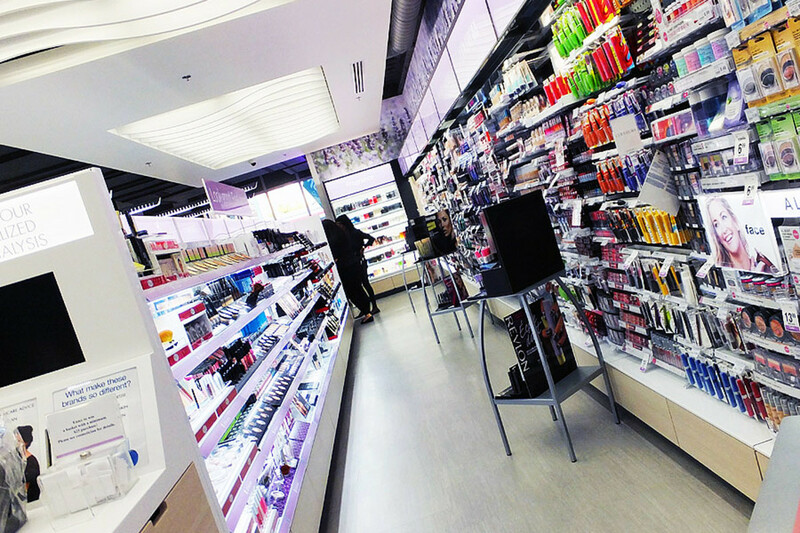 The beauty dept at the College & Spadina location. Can I just gush about that clean un-yellow light again? How nice to see the true colour before you buy. 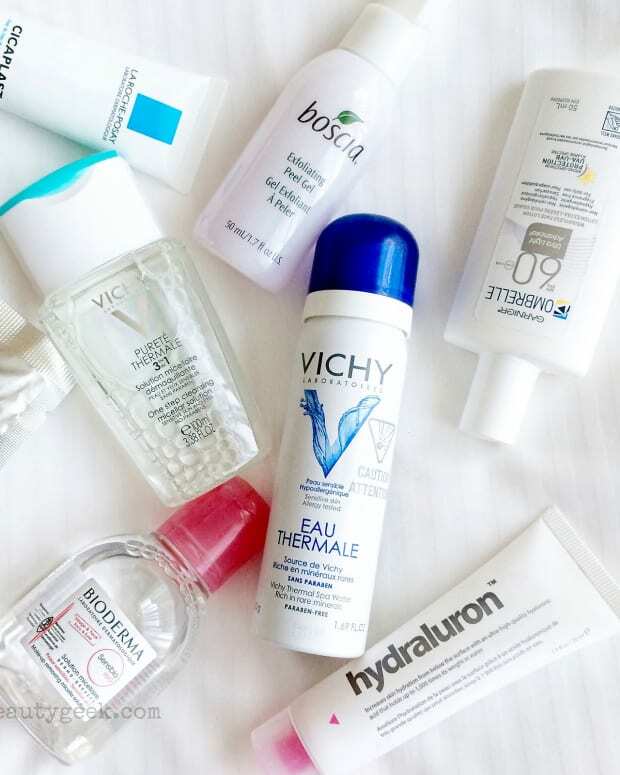 The derma skincare section at each store includes Bioderma, Avène, Klorane, Lierac, Nuxe, Vichy and more. 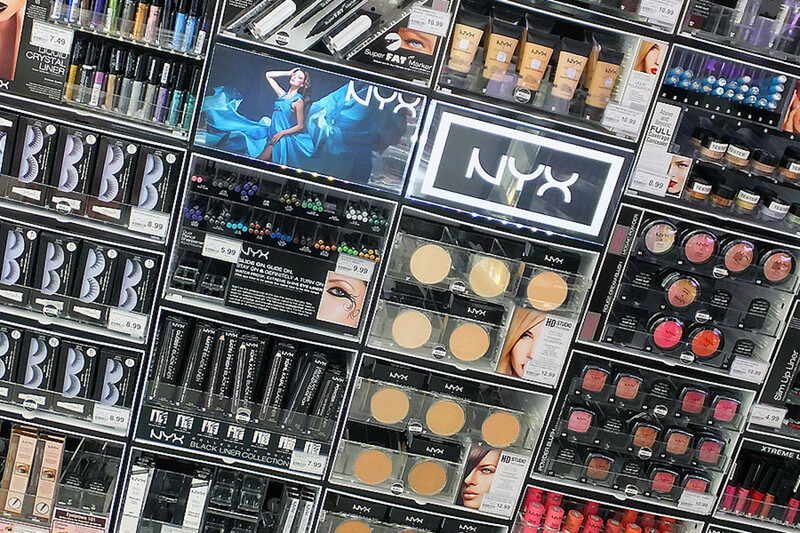 Look at all that NYX. 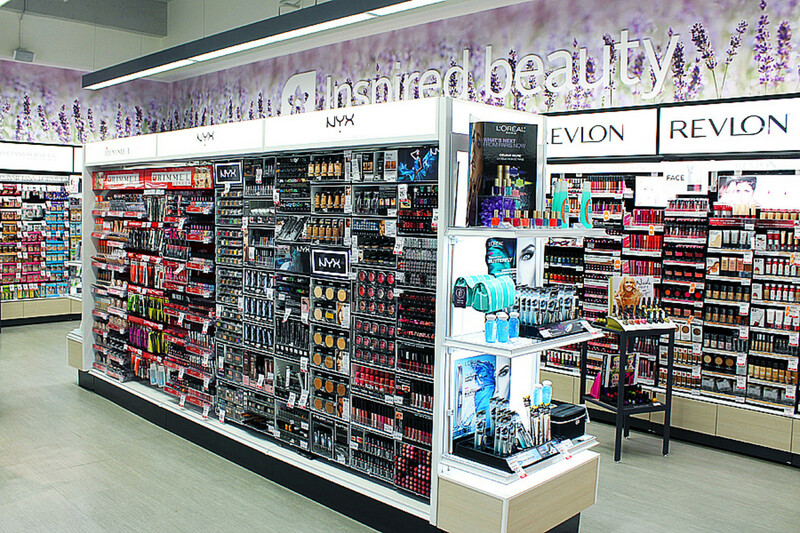 This is the beauty department at Queen & University. What do you think? Are you already a regular Rexall shopper? And how about that Creation&apos;s Garden scandal? 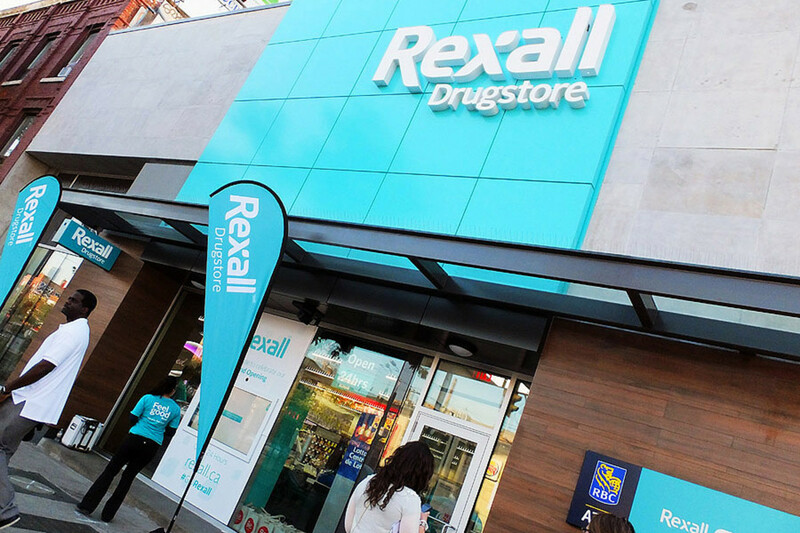 Visit rexall.ca for more info on pharmacy services, brands, locations and weekly deals.